Maths doesn’t have to be boring and hard! 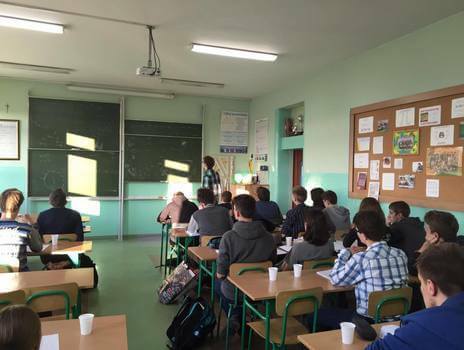 ADAMED SmartUP ambassador, Dominika Bakalarz demonstrated just that at a workshop held on 20th December this year at the General Education School Complex in Opole. The definition of a graph or the Euler characteristic, were just some of the terms analysed by the teenagers at an advanced level. The pupils also learned about the benefits of joining the ADAMED SmartUP programme. During the meeting, Dominika Bakalarz introduced graph theory, beginning with the definition and basic terminology. 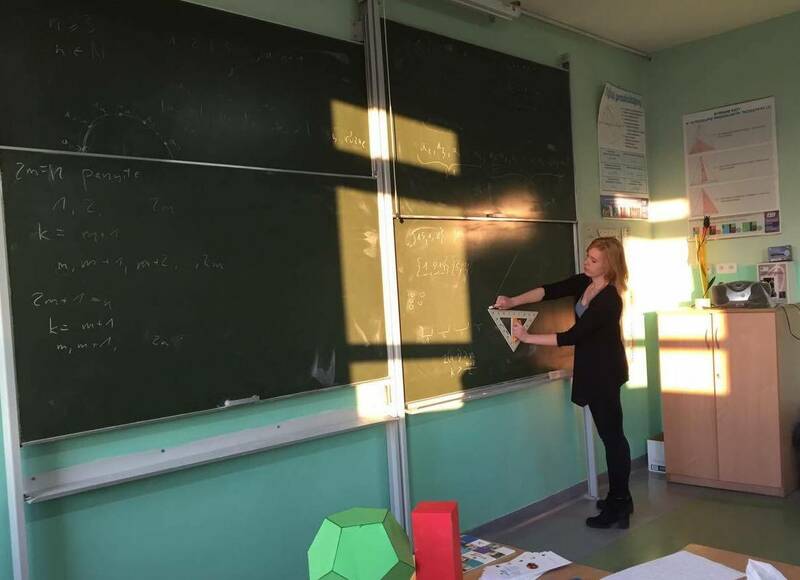 Then she discussed with the pupils the difference between solid figures and graphs, especially the Euler characteristic concerning polyhedrons. Finally the teenagers could use the knowledge they had acquired to solve mathematical Olympiad problems. The second workshop instructor was Maciej Skolarczyk, who graduated from the host school and is now a student at the Jagiellonian University. He discussed the construction of numbers, the classification of sets and Dirichlet’s box principle. The ambassador also talked about the selection rules for the ADAMED SmartUP scholarship programme, and about the prizes that await the most talented participants. She reminded the students that they can register for the 3rd edition on www.adamedsmartup.pl until 15th January. The project provoked great interest and pupils asked for details. The workshop consisted of two 90-minute lessons. 30 pupils participated, most of whom took part in the first stage of this year’s Mathematical Olympiad.